There is nothing like your mother’s cooking. Period. Restaurants like Olive Garden, Chili’s, or Applebee’s do not hold a candle to good old-fashioned home cooking. Camille Baker of Pull Up A Seat knows this. Pull Up A Seat is an app that allows on demand home cooking for anyone by anyone. This idea came to be out of necessity. “I was hungry as hell,” Baker says. She noticed that she had a network of people who would whip up dishes and sell them whether it be to college students, church fairs, etc. Through Pull Up A Seat, Baker is connecting hungry people to amazing home cooks in the area. Pull Up A Seat is continuing to grow through Baker’s tenacity. She’s worked feverishly to get the word out, from connecting with journalists in the Orlando area through Twitter and Instagram prior to launch to searching for the right accelerator program that fits her needs. Now that she’s at The eFactory, the work doesn’t stop. 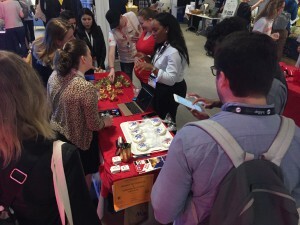 She had the idea of connecting with college-aged students and young professionals by attending the different festivals around the country. Many applications later, South by Southwest came calling. Pull Up A Seat has been invited to set up a booth and give a presentation during their Startup Spotlight. She was able drum up excitement and was told that by a SXSW representative that her booth was the most well-attended and engaged, outshining booths from GrubHub and the like. Baker is hoping to ride this wave as she is putting the finishing touches to launch in the Springfield market. It is no secret with all of the restaurants here in town that Springfield loves to eat. She is hoping to tap into that market and connect people to phenomenal home cooking. As we look ahead to the future, she’s continuing to work on building a successful team around her and find people who are just as passionate about Pull Up A Seat as she is. 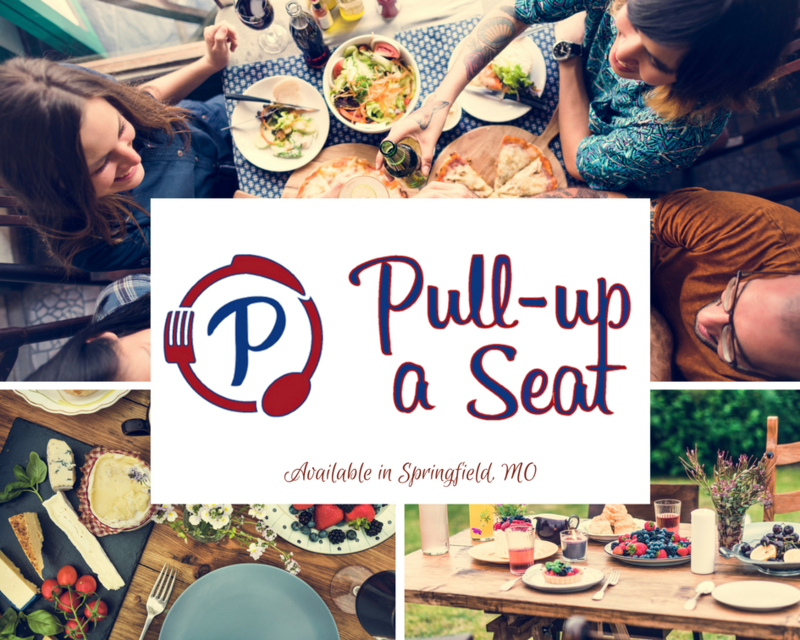 Sign up to be a part of Springfield’s Pull Up A Seat!